It’s summer in a small coastal town in Tuscany, and teenage Edo’s life is characterized by doldrums any adolescent would recognize— an annoying little sister, an abrasive best friend, a general fear for the future. He’s also decided that this year will be when he loses his virginity: except for a painful operation that stands in his way. Duccio Chiarini’s debut feature, Short Skin, captures the rhythms of Livorno’s small streets and mines them for provincial comedy, framing the universal preoccupations of Edo’s scenario in a specific place and time. 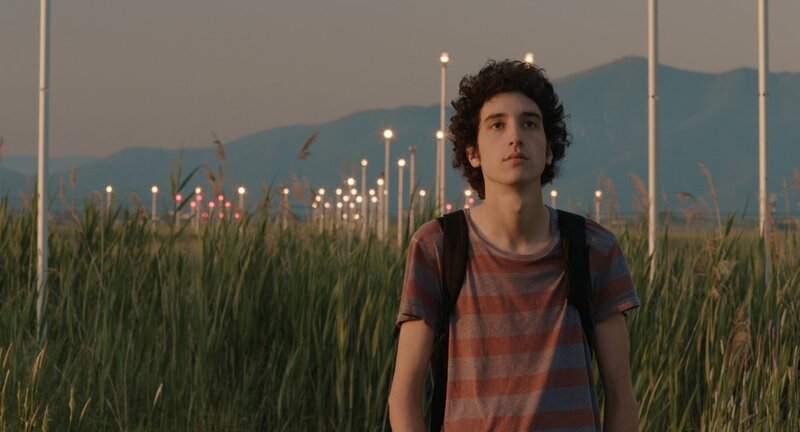 The result is a clever, heartwarming coming-of-age story that translates far beyond Tuscany. Filmatique conducted an exclusive interview with Duccio Chiarini to discuss the dynamics of comedy, a new generation of cosmopolitan cinema in Italy, and his next project that was workshopped at Cannes’ Cinéfondation program. "[T]he film’s visual style seems inspired by the Edo's character, an observant but withdrawn teenager, with the precise framing of Turkish cinematographer Baris Ozbicer (Honey, Yozgat Blues) maintaining a sense of dignity and respect that befits this sensitive gentiluomo in the making"
"[R]eminiscent of a Jason Reitman film"
"[W]alking the line between youth and adulthood with often hilarious consequences"
"[A]n interesting and relevant cinematic experience"